3 MUST-DO’S to avoid the holiday weight gain! It’s no surprise people gain weight during the holidays. I mean, there’s all that delicious food and somebody has to eat it! 1. NEVER EVER GO TO A PARTY HUNGRY! This is almost as dangerous as going to the grocery store hungry. If your parties are anything like mine, there are appetizers, snacks, Hor d’oeuvres, and unhealthy beverages, and that’s just within the first 2 hours. And your hungry temptation will eventually strike. Either that or as soon as the main course is ready you’ll over eat anyway. Plus, who knows what kind of unhealthy “food” is being prepared or HOW it’s being prepared. I’m not saying you can’t eat anything, but if you eat before you go you’ll be much less likely to pig out on the nastiness! 2. PLAN AHEAD! With the holiday season comes the holiday stress! There are gifts, and shopping, and traveling, and deadlines, and shopping…yeah shopping is stressful! Do yourself a favor, take a deep breath and relax. Plan everything. Plan your trips, your clothes, your gifts, and plan your budget! Don’t overspend because you feel you have to buy your grandpa’s neighbor a new fishing rod. Gift cards make great gifts! And don’t skip out on the things you should be doing, like your adjustments! If you plan accordingly you will have time for everything! 3. DON’T SKIP THE GYM! Nothing is worse than eating extra food, extra desserts, being stressed, overspending, and on top of all that NOT exercising! If you just can’t fit it into your day, refer back to tip #2. And if you still can’t fit it in, you’re working out wrong! My workouts take me 12 minutes/day. And if you don’t know who I am or what I look like, just trust me when I say it works! So there ya have it folks! Comment away or ask questions if ya got ’em. The coolest thing since sliced bread!!! 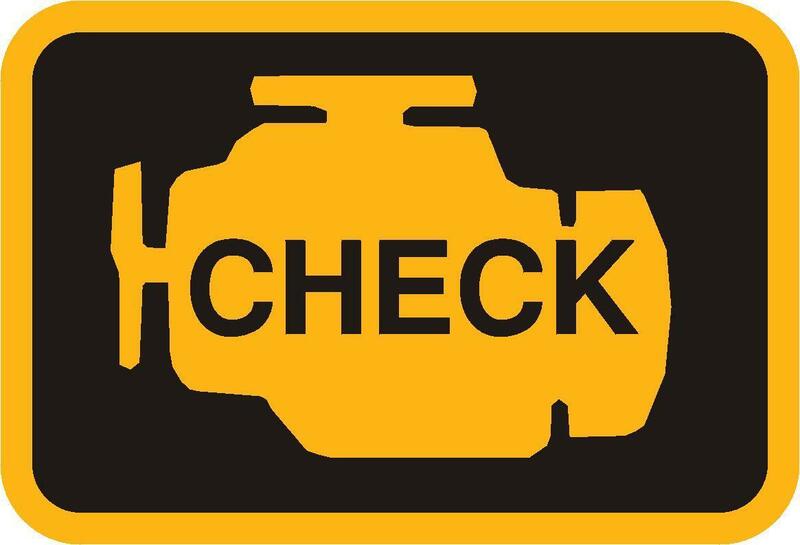 Is your “Check-Engine” light on? What do you do when your check engine light comes on? A). Put some new gas in your car? B). Remove the exhaust pipe? C). Pour mustard gas over the distributor? D). Put a piece of duct tape over the light? I sure hope you chose E! Most of us would even think of any of those as an option. Yet every day, millions of Americans try to cover up or treat their symptoms by popping pills, removing pieces, or poisoning themselves. That seems a little strange to me. Yet we live in a fast-paced, quick-fix society. Instead of finding the CAUSE of our problems we like to ignore them and pretend like everything is ok. And the truth is, most of us take better care of our cars than we do of ourselves!!! It’s not difficult to be pro-active with your health. instead of ignoring your body or looking for ways to cover up your symptoms, take control of your health. Stop thinking about what you can put in or cut out and start thinking about how to take care of what God has given you. God gave us the gift of life. It is up to us to give ourselves the gift of living it well! Take action and seek help! Don’t wait until it’s convenient or until it’s too bad!